The goal of The Telling Trees Project is to research, document, and present the stories of people, places, culture, and time of Stone County through the gathering of oral histories and sharing of these through storytelling and the arts. Through these oral histories, “Tellers” and “Seedlings” are able to tell “our story of home.” The collected histories also become the basis for other projects – the Murals of Stone County, the drama projects, and other arts in education efforts. The original stories collected centered around timber – pines and pecans – the foundation industry of Stone County. To honor these initial interviewees, a local Stone County potter, Bobbie Fenton, created masks of each person interviewed. These masks are on display today at the Stone County EDP office located in the old train depot. The Telling Trees Project continues to collect oral histories. 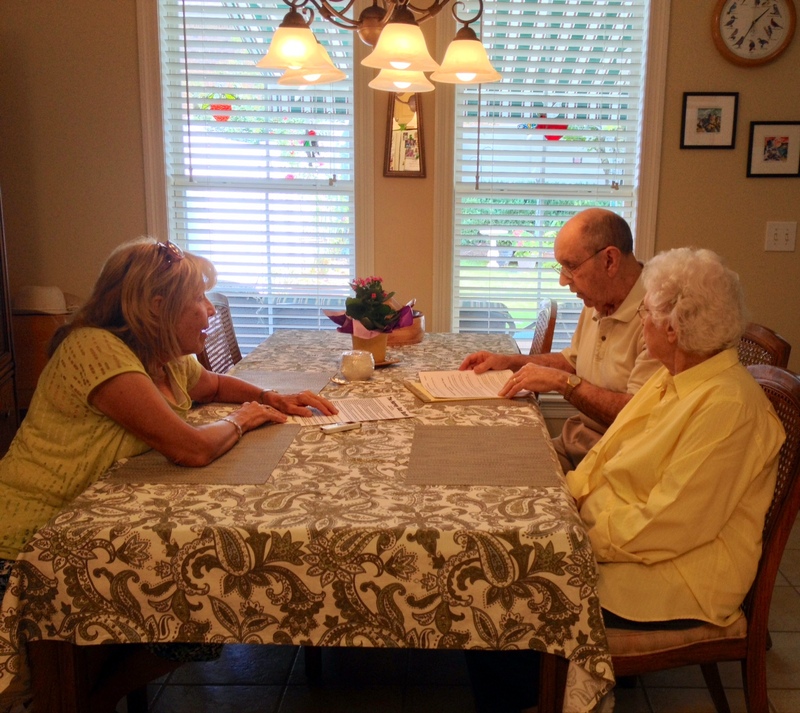 One of the most recent interviews was done of Dr. & Mrs. Gordon McHenry, long-time Stone County residents, on September 27, 2013. Dr. McHenry is a native son, grandson of Dr. George Austin McHenry, founder of the town of McHenry. Kathryn Lewis conducted the interview. Kathryn Lewis conducting an interview of Dr. and Mrs. Gordon McHenry on 9-27-2013.